“How does God’s love abide in anyone who has the world’s goods and sees a brother or sister in need and yet refuses help? Little children, let us love, not in word or speech, but in truth and action.” Okay? Got it? Good. In the name…. Okay, I’m just joking, but there is something about this directive in the first epistle of John that feels clear and final, almost as if there is nothing left to say. It sounds so easy – just do what you say; if you are speaking words of love and mercy, then do acts of love and mercy. Pick your own figure of speech: practice what you preach, put your money where your mouth is, just do it. And when you just do it, this letter reminds us, God’s love abides in you. Sounds great all around. So let’s just do it. But of course it’s not that easy, is it? It isn’t as easy as just hearing the words and then doing them. We know this, first because the author of this letter – John, or some wise elder in the community using John’s name – actually had to write about it. He had to say, okay, boys and girls, saying how much you love everyone in the class and then ignoring that one kid no one wants to eat lunch with doesn’t work. John’s people must have been having trouble loving in truth and action or he wouldn’t have bothered to say anything. 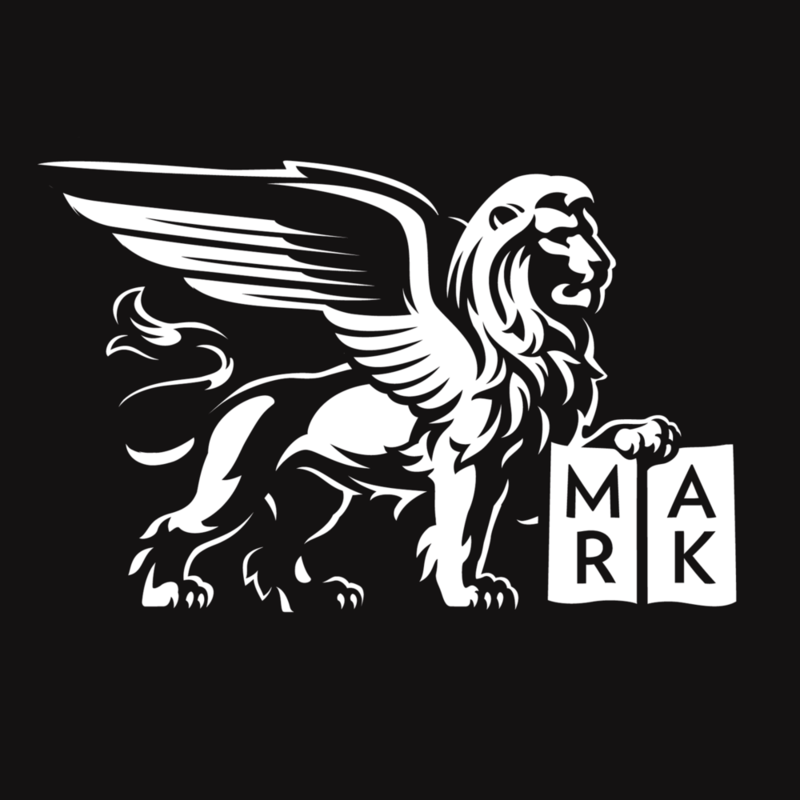 Otherwise it would be like Saint Mark’s getting a letter from our bishop after his visit yesterday reminding us how important it is to have well-composed and beautifully performed music in our worship of God. That wouldn’t make sense. John’s community must have needed the reminder to love, not just in here, but out there. Of course, we also know that this is easier said than done because it’s hard for us too. It’s difficult to love in action – easy enough when we feel like it, but when our heart isn’t in it, when it’s been a bad day and we’re tired or sick, or when we’re stressed out about something at work or school, or when the person who needs our help is the same person who pushes all of our buttons, just doing loving acts can feel impossible. Who can do love, everywhere, all the time? Some part of our rational, world-centered brain is happy to tell us that this is a fundamentally unreasonable request and so we should just do the best we can and be on with our day. But if there is one thing we know about the love of God it is that it is utterly unreasonable. It is unreasonable for God to keep choosing us again and again, even after all the times we fail him; it is unreasonable for God to send his only Son to suffer and die and rise again all for our own simple, selfish sakes. God is sensationally, deliciously unreasonable, and he wants nothing more than for us to be unreasonable too – to love even when we don’t feel like it, to claim love as a practice rather than a feeling that flits in and out of our hearts. God is greater than our hearts and our rational, world-centered brains, and God calls us to be greater than we could ever hope or imagine. And when we respond to this call by loving in a way that is gloriously unreasonable, God abides in us, deeply, palpably, and forever. In the name….no, wait a minute, because there’s still that tricky question of how we actually do this. How do we act in love – how do we start doing this thing, or re-start doing this thing, or sustain doing this thing that God is inviting us to do? Well, one place to start is here, at Saint Mark’s, today, where we are hearing about some pretty important acts of love that we can undertake. At the 10:00 forum we heard from Kitty Moyers, a nurse and missionary who is ministering to the desperately needy, perpetually imperiled people of South Sudan. After this Mass, we will hear from Ana Reid, a missionary in Honduras, who will talk to us about the possibilities for another medical mission trip there in the summer of 2016. These two powerful, faithful women can help us, all of us, to gather the strength and the inspiration to act in love. I hope that some of you will respond to this call, to support Kitty’s work in South Sudan, to journey to Honduras to serve the poorest of the world’s poor, to reach out beyond our borders and act in love. But even this doesn’t really get us off the hook. We can’t sit back in our pews and say, “Going to Honduras – acting in love…check.” God wants more of our hearts than that. God wants us to love one another as he has loved us, to serve one another as he has served us, with all our selves, all of the time, so that every action we take – as big as deciding to take a week’s vacation, your malaria medication, and a flight to Honduras or as small as letting the person whose arms are filled to overflowing and really should have gotten a shopping cart go ahead of you in line – every action we take is rooted and grounded in love. And the only way I know how to do that is to be like sheep. Now sheep have gotten a bad rap in sermons over the years. I’ve heard sheep described as senseless, vapid animals, who spend all of their time in life getting stuck in mucky puddles or down ravines and forcing their faithful shepherds to come rescue them with their clever crooks. But I have a hard time understanding why God would create animals as dense as this in the first place, let alone why God would then choose to continually use them as a metaphor for his people. Sheep aren’t stupid – they’re just…sheep. They’re followers, they need someone to lead them or else they get horribly lost. They need each other, they need to be gathered together, or else they make horrible decisions. And they need to be protected from horrible things. Sound like anyone else you know? So sheep we are; we act like sheep, we walk like sheep, we love like sheep. We’re all sheep, all of us in the pews, all of us in the choir, all of us in the chancel and in the organ loft, all of us on this block, all of us on this street. The people walking by our doors who decide that this is the morning to pop their heads in? Sheep. The people walking by our doors who think we’re all suckers? Sheep. The people sitting outside with cardboard signs in front of them that are full of the tales of woe that have driven them to live on the streets? Sheep. The people sitting outside with cardboard signs in front of them that are full of lies? Sheep. The people sitting outside having brunch at Parc? Sheep. The people who put hate-filled billboards on our city buses and the people who fought them with every breath? Sheep. The people who are fleeing in cardboard rowboats across the Mediterranean and the people who chased them there? Sheep. The people who see a brother or sister in need and help? Sheep. The people who see a brother or sister in need and refuse to help? Sheep. Sheep, sheep, sheep. We are all of us sheep, gathered together in one motley, marvelous flock. It is only when we forget this, when we start seeing people as something other – as goats or llamas or wildebeests – that we lose our tender heartedness, that soft space where God abides, and start deciding that our busy schedules or our money or our convenience is more important than acting in love. But when we see each other as sheep in the same fold, when we recognize those we rub sheepy shoulders with as brothers and sisters in the flock, we see the truth – that none of us has any power, any privilege, any position, except for that given to us by our Lord Jesus Christ. We are all sheep, following the best, most beautiful shepherd, who leads us all in paths of righteousness and abundance, who gathers us all up when we become scattered and lost, who sloshes into mucky puddles and slides down into ravines to help us get unstuck, and who laid down his life for us and then – alleluia – took it back up again. We are all sheep who have already been saved, sheep who have been offered eternal life and boundless love, every single one of us. We are all in this flock together; the bells around our sheepy necks toll for all of us. And when we see and know how deeply we are connected, gathered together in one flock and faith, how much harder is it to then serve in love, and proclaim hope, through Jesus Christ? Little children, little sheep, let us love, not in word or speech, but in truth and action. Okay. Got it? Good. In the name…. Posted on April 28, 2015 by Erika Takacs.